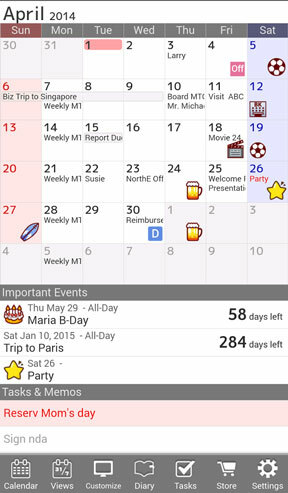 The calendar is one of the most important apps on a smartphone. All Samsung Galaxy devices, including the Galaxy S5 and Note 4, come with a powerful app pre-installed, called S Planner. This can sync with your Google Calendar, which is also often installed on Samsung devices as well. However, for all its many features it isn’t the best looking or easiest to use calendar app for Android phones. Here’s our pick of the best alternatives to S Planner. Sol is great-looking and fully featured calendar app that syncs with all of your calendars and is ideal for both work and personal use. Among our favourite features is the selection of full-screen calendar widgets it supports, enabling you to view the month ahead or your agenda for the next few days. It also syncs your Android phone with iCloud. 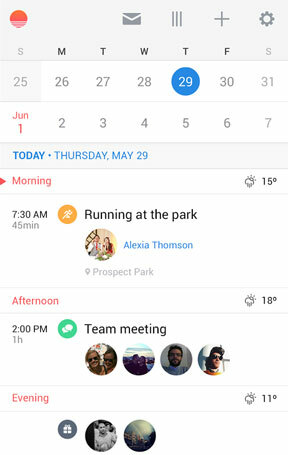 Recent updates have also introduced an Agenda view within the app, along with full To Do list capability. This syncs with Google Tasks and takes Sol one step closer to becoming a fully-fledged productivity management suite. Without doubt one of the best Android calendar apps on the Play Store. 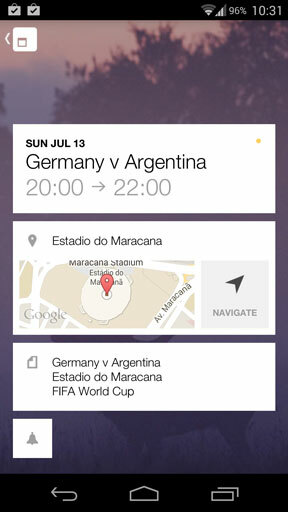 Sunrise is a beautiful app with a choice of layouts. One gives you an overview of your schedule and free time for the next three days, while the other breaks down your agenda for any given day. With great integration of maps, as well as a companion desktop client and full cross-platform support, Sunrise makes using your calendar more enjoyable than it should be. Exchange support has also been added, alongside Google Calendar and iCloud. No matter what device or computer you are using, Sunrise is equipped to handle them all. 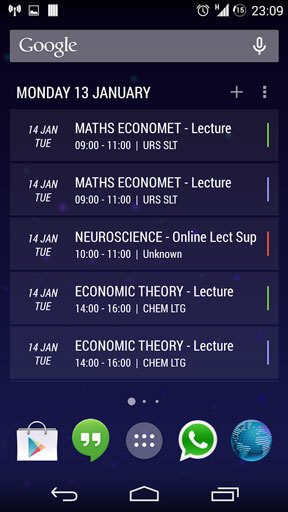 Today streamlines the traditional calendar app into something altogether more easy to use. It contains all of the views and features of the stock Android calendar or S Planner, but presents them in a clear, uncluttered form. It has a fantastic selection of widgets—including a lockscreen widget. It’s also one of the first calendar apps to have embraced Material Design, which puts it comfortably ahead of S Planner in the aesthetic stakes. 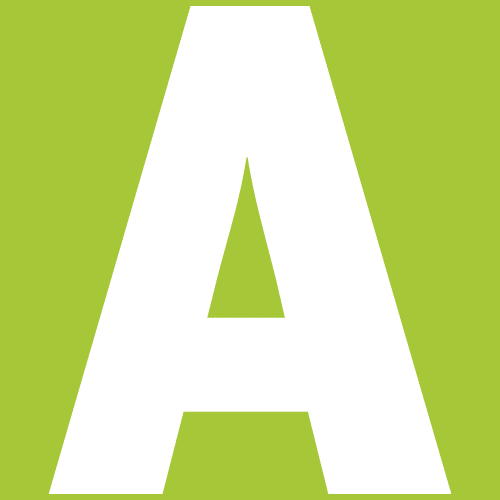 The app is not free, although you can download a free 14-day trial from the Play Store to give it a thorough test and ensure it suits your needs. Cal is superficially a very simple app, but dig a little deeper and you’ll find there’s a lot more to it than you thought. It syncs with both Google and Exchange calendars and has the full range of views for either getting an in-depth review of your schedule or gaining a quick overview of the upcoming days and weeks. 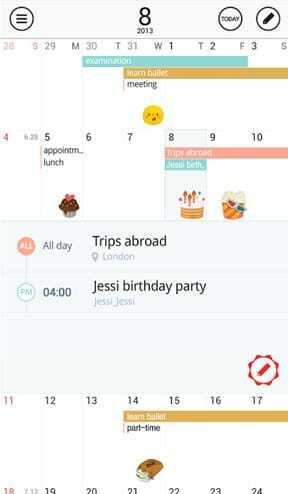 For personal users it gives great birthday reminders, utilising full screen images in the process, while for business users there’s the Heads-up mode that homes in on the details and agenda of your meetings. Voice support is also interesting, enabling you to add new appointments without touching your phone; we wouldn’t be surprised to see Android Wear support rolled out along these lines in a future update. Cal also perfectly integrates with the Any.do task manager app by the same developer. Jorte Calendar is one of the oldest productivity apps for Android and, frankly, it could do with a redesign. It’s interface is cluttered and design is outdated, yet it is a remarkably comprehensive tool. It is a true no-nonsense productivity tool, all about the features if not exactly pleasant to use (it supports themes, though they amount to little more than a few cosmetic colour tweaks). The app is frequently updated, so you can be confident that bugs are quashed and new features are added on a regular basis. Once you have installed one of these alternatives don’t forget to disable the built-in app to remove it from your apps drawer.